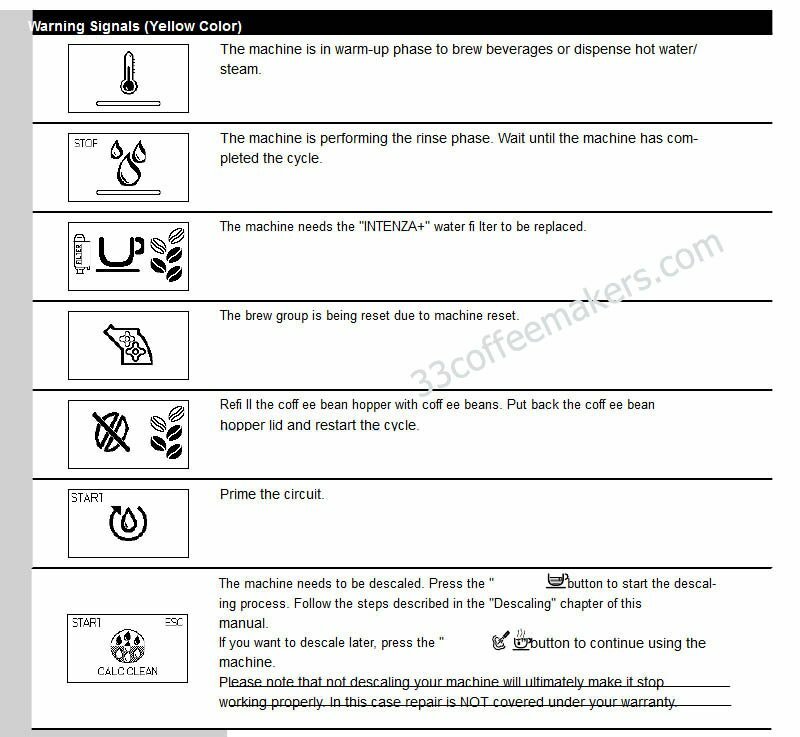 Troubleshooting Philips coffee machines may seem a difficult task if you have never tried it before. However, in fact, it is much easier than dealing with most of other types of household appliances. The tables below contain detailed instructions that are easy to understand even for those who do not possess prior experience in this field. There are tables for several ranges, including Philips Senseo HD series, Saeco Xsmall HD, Moltio HD, and Minuto HD. time 1) You probably tried to brew a cup of coffee without flushing the machine first. Before you start brewing coffee, you have to flush the machine. When you switch on the machine again, the on/off button either lights up continuously or flashes slowly or rapidly. 2) If the on/off button lights up continuously, you have to carry out the flushing procedure. reservoir or the water reservoir is not placed on the machine properly. you to contact the Consumer Care Centre in your country. 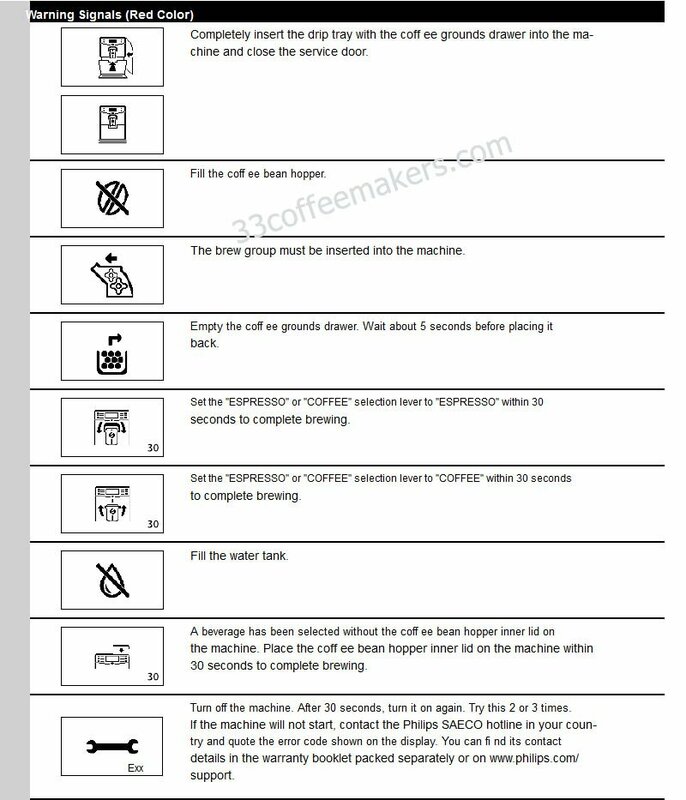 4) If you still cannot brew coffee after you have flushed the machine, we advise you to contact the Consumer Care Centre in your country. use it at altitudes higher than 2200 metres above sea level. flashes You have pressed the 1-cup button and the 2-cup button at the same time. appliance operate until the water reservoir is empty. descaling 3 to 4 times to let the descaling mixture act and to heat up again. button and the 2-cup button at the same time. reservoirs filled with fresh water. water reservoir is placed properly. machine does not function properly. the sieve by holding the pod holder under a running tap. 1b. The coffee pod has been put properly in the centre of the pod holder. 1d. The spout and the coffee collector have been placed correctly. 2a. There is not too much water in the water reservoir. 2b. You do not place the water reservoir onto the machine too roughly. within 30 seconds after filling. may need to use quite some force. accelerate the unlocking of the lid. clean and that the sieve in the centre of the pod holders is not clogged. washing-up brush to clean the sieve, if necessary. the case, remove the used pod. the deeper 2-cup pod holder qq. with the personal coffee memory function (HD7872 only). holder qq and the 2-cup button qq. the pods lightly into the pod holder. 4) Make sure that you have not used the same coffee pod twice by accident. 5) Make sure that the coffee in the pod is evenly distributed. 6) If you prefer a more robust flavour, SENSEO coffee pods with a stronger blend are available. the coffee decreases, we advise you to descale the machine. Descale your SENSEO coffee machine regularly. more quickly. Make sure that the cups have a capacity of at least 150ml. small amount of coffee in a large cup. you use the touch panel. happens, the machine will not start brewing coffee. 2) Unplug the machine before you clean it. descaling procedure Press the on/off button. You can restart the descaling procedure. The classic milk frother may be dirty. Clean the classic milk frother. door. If you still cannot remove the brewing unit follow the next steps. and try to remove the brewing unit again. comes out 1) Clean the coffee exit duct and set the grinder to a coarser setting. 2) Fill the water tank with water. The coffee is too weak 1) Adjust the ceramic coffee grinder to a finer setting. 2) Check if the water tank is leaking. some hot water flow out of the machine. The Amsterdam-based giant Philips dates its history to 1891. It manufactures a variety of home appliances, medical and audio equipment. 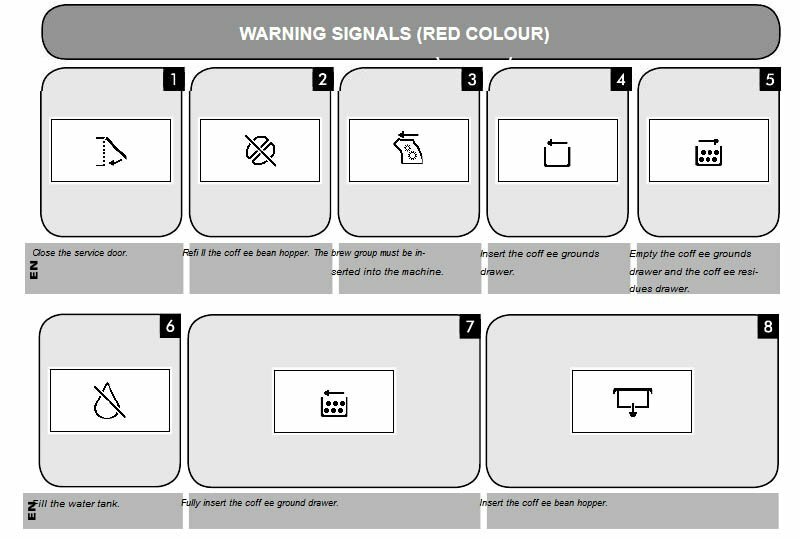 The range of coffee machines produced by the brand includes both manual and automatic coffee makers.